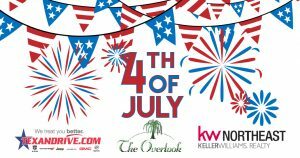 4th of July at the Overlook – Tuesday from 6pm – 10pm. Join us for a FREE, Fun Filled Family 4th of July Celebration! !